Q1. 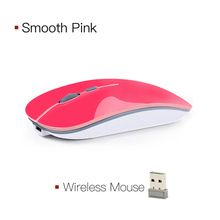 I ordered wireless USB mouse, But I can not see the USB in my package ? A1. 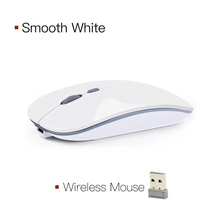 The USB receiver is at the bottom of the mouse. You could see our instruction map. Q2. 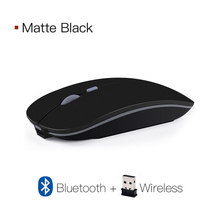 Bluetooth Mouse only have Bluetooth ? Can I use USB receiver? A2. 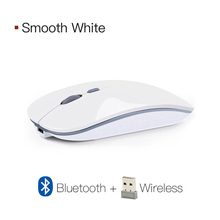 Bluetooth version is Bluetooth + USB, you can use both Bluetooth and USB. Q3. Why the cursor can’t locate accurate ? A3. 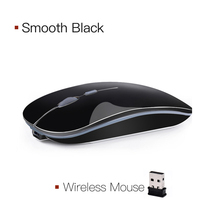 When the mouse cursor can’t locate accurate, the mouse need to be charged. Q4. How can I know it is charging , or it is charged ? A4. When charging , the scroll wheel is blue light. When charged, the scroll wheel light is OFF. 1. New Upgraded: Unique charging technology, built-in lithium battery, an environmentally friendly design. 5. 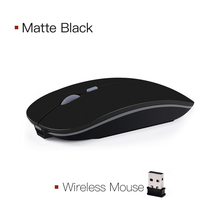 The sleek minimalist design and slim size design are suitable for office, home, business trip, travel and other purposes. When the mouse cursor can’t locate accurate, the mouse needs to be charged. When charging, the scroll wheel displays blue light.